I’ll lay my cards on the table: I thought that Misty Copeland was an over-hyped media phenomenon, with a personal story that had leapfrogged ahead of her actual ability. This opinion was totally based on prejudice – having never seen her dance – and by knowing how many ‘artists’ become popular with a vast public because of their social media savvy or heart-wrenching stories. What counts is how convincingly you act, how you put paint on a canvas, what sound comes out when you open your mouth to sing, or how you move your body across a stage. 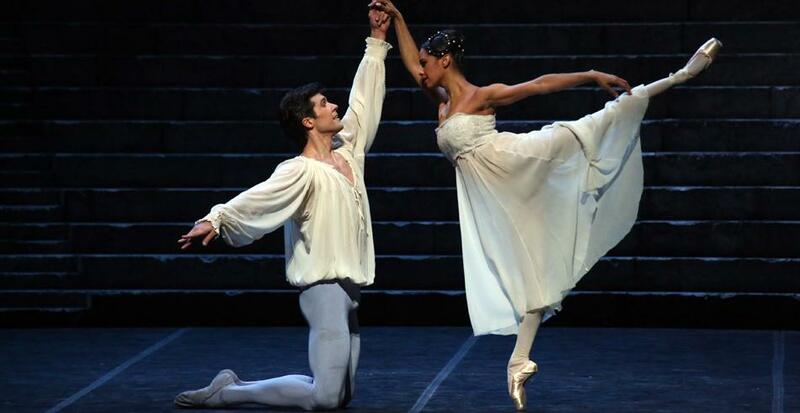 Well, Misty Copeland is the real thing. The first man on the moon will always be better known than the second, and so when, 18 months ago, she became the first African-American woman to become a principal dancer with the American Ballet Theatre, it inevitably landed her more magazine covers and social media followers than her equally talented colleagues. This phenomenon is hardly new in ballet: just look at Rudolf Nureyev. However, it is rarely that one arrives first by chance; it takes courage and, in Copeland’s case, perseverance. The first African-American president and the first black principal dancer at the American Ballet Theater have much more in common than their success. Both have risen to the pinnacle of institutions that have historically been led by whites. Both were raised by determined single mothers and born into multi-racial families. And both seek to use their unique positions of power to inspire a generation of kids who may not see a clear path forward toward success. However, when she came to dance Juliet at La Scala, most of the audience didn’t know of her story, and they responded to her as a dancer. That will change if she returns to Italy, and it is rumoured that she will: yesterday evening she was on a popular Italian television chat show together with her Romeo, Roberto Bolle, and she has been interviewed in (and made the cover on) a few magazines and newspapers. Ballet fans knew her already, at least by name, but I fear many of them thought as I did. Her Juliet proved us wrong, and taught an important lesson. Copeland is a fine actress, fully believable in her progression from innocent joy to quickly-learned disillusionment and tragedy. Her Juliet is quite wilful from the start and it is a coherent and personal interpretation. She possesses a strong technique which gives her complete freedom to be expressive throughout the various challenging pas de deux, which she dances with an exciting, energetic dynamic. She also has beautiful, expressive feet. In the still passages, she is focused and ‘in the moment’. Yesterday’s performance was transmitted live in the cinema, (and later, on television), and even with the invasive, all-seeing close-ups of the cameras she was thoroughly convincing. And yes, as her Juliet stirs from her drug-induced sleep on, she left me misty-eyed. I agree. I too had misjudged her. Always refreshing to say: I was wrong! Her Swan lake i saw last year was impressive but in a bad way, I thought she was completely overrated. 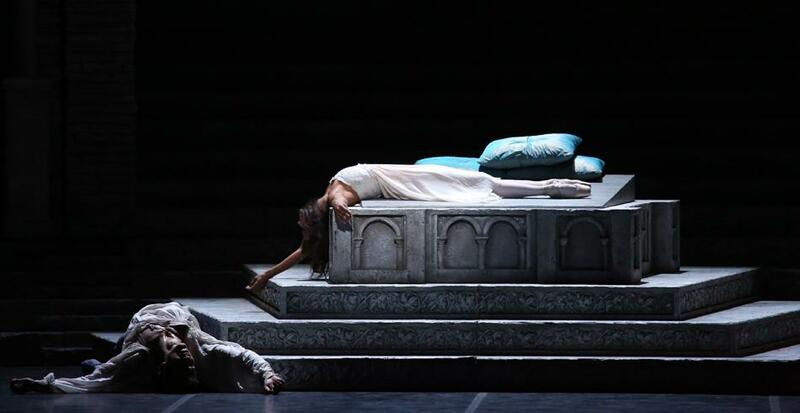 Romeo and Juliet is a different ballet, we can say Juliet is more an actress than a ballerina in a strict sense, she had a good performance, anyway i need to see her more to decide if i like her or not. She is good in modern ballets but classics are not her thing, at least not yet. Having more followers on Instagram is irrelevant to the fact how good a dancer she is. I am sure that Svetlana Zakharova has far fewer followers but she is for sure a far superior ballarina. I saw the video of the performance, I She was good in acting, but the dancing part was limited and did not seem to involve difficult technique. She was lifted and throw around by Roberto Bolle a lot. I remain unconvinced that she is a top notch ballerina. There was not enough diversity with the ABT which was noticed by Barack and Michelle Obama. It is difficult for the arts to survive without funding from the government so the pressure was put on and then we have the queen of self promotion, Misty Copeland.